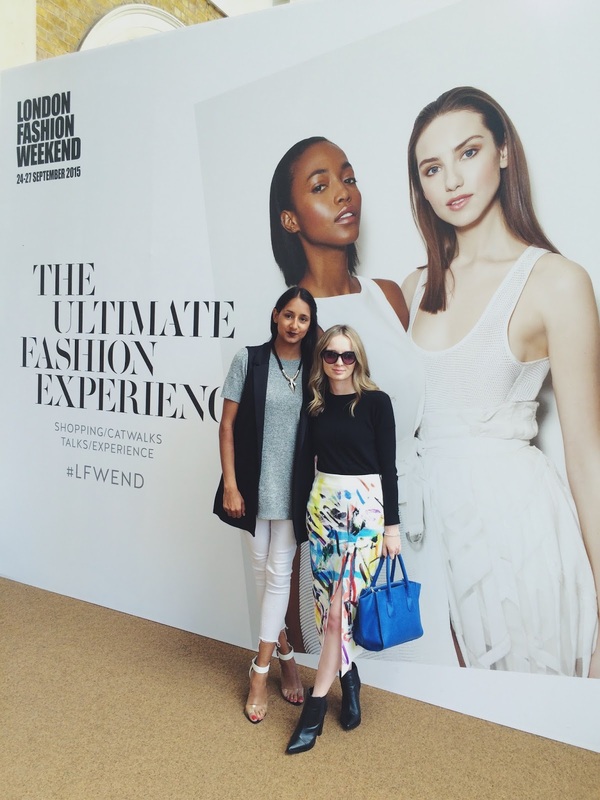 Last Saturday Tanya and I headed to the Saatchi Gallery in Chelsea for London Fashion Weekend - the new location for Fashion's Biggest Pop-Up. We were lucky enough to catch one of the trend shows styled by Very Exclusive and hosted by the wonderful Angela Scanlon. There is always a great debate with what to wear to events like LFWend, especially since there are so many glamorous, wild and wonderfully dressed individuals. 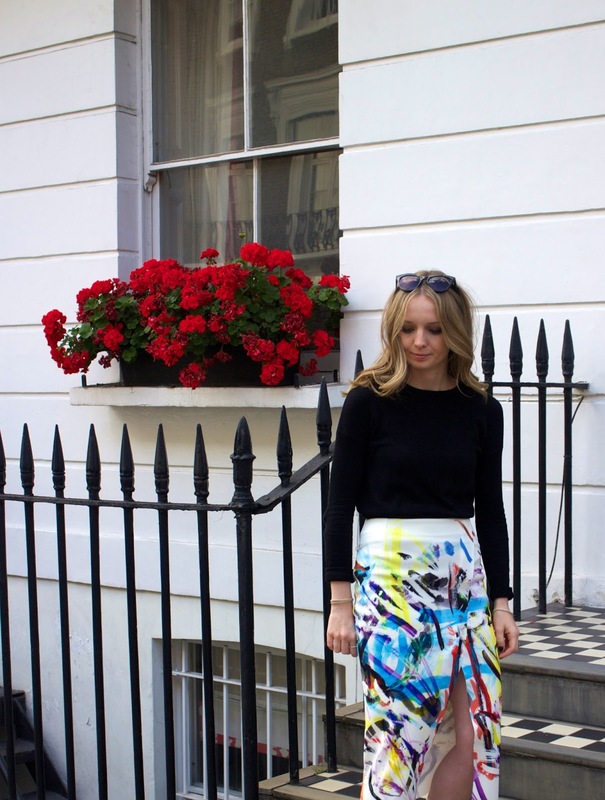 I used this rather out there graffiti print wrap skirt in a fashion shoot I styled and once again fell in love and forced myself to keep it (this happens too often). Despite getting a handful of strange looks whilst leaving Southampton, somehow in London my rather eye catching skirt was totally normal. London College of Style explained my outfit as 'art meets fashion', a rather good take on it. The sun was shining, however, it was still a bit chilly so I paired the skirt with this £6 knit jumper from good old Primarni - bargain! Since I can always do with a little bit of height in my life, especially in a long skirt, my footwear choice was a pair of heeled boots from ASOS. What do you guys think of the skirt?